It's one thing to steal American's private information and listen in on their phone calls, it's another thing to be completely overt about it. Now, even the theft of our privacy is no longer being conducted privately. This now seems to be the society we're allowing ourselves to be a part of. A recent discovery of seventeen fake cellphone towers has brought no answers as to their use, but raise some serious questions. The cellphone towers, all of which are located near military bases, were discovered using an ESD Cryptophone 500, manned by Les Goldsmith, the CEO of the ESD organization. ESD, based out of Las Vegas, provides defense and law enforcement technology, but still can't explain what the towers are there for. Rather than augmenting cell signals, they appear to be doing little more than bypassing encryption to read texts and listen to calls. 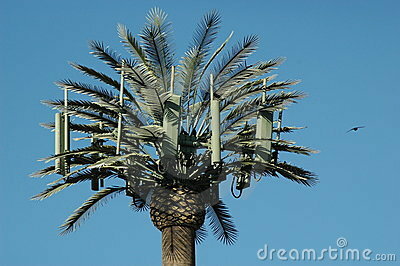 Goldsmith went on to speculate on which military (ours or another) could possibly be using the towers for surveillance. Another idea involved escalation of the "Stringray" surveillance systems that the police departments of some large cities have put in place for observation. It remains a sad but true fact that the NSA would not need the towers, and could simply hijack information from the cell service provider. The only hint the average citizen may have that the secret towers are operating in their area is that their calls will be forced down to the less-secure 2G connection, as opposed to currently-conventional 4G. It is a relieve that the military is keeping an eye on us for the security purpose. There are other activities they are doing mentioned in this military bases in North Carolina website.